I read an article on line recently, where a gentleman, who owns a Breitling Emergency watch was complaining about the cost to maintain it. I mean, we are talking about a GPS locator, emergency beacon transmitting, life-saving watch here. So what if it costs $600.00 to replace the battery, this is not your everyday wrist watch. It is made for professional pilots and seamen, who are sometimes in quite perilous situations. You must have a pilot’s license to purchase one, and if you don’t you must sign a waiver, which relieves Breitling of all financial responsibilities, if the beacon is set off. Believe it or not, rescue missions are really expensive, and if you are just someone looking to impress by owning this watch, you flip the bill. This Breitling Emergency owner even went as far as to complain that the watch must go to Breitling for maintenance, and wished to take it to a “normal” watch shop. 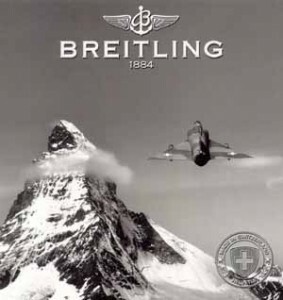 These are not novelty items; the Breitling Emergency is an invaluable tool, which has saved lives. If you don’t take that seriously, you shouldn’t own one. My advise for him is to sell his Emergency watch and pick up a nice Timex, they take a licking and keep on ticking…and they won’t put a crunch in his pocket book. The Emergency has three batteries, one powers the chrono and can be replaced onsite by any competent (preferably a Breitling Authorized) jeweler while the transmitter is powered by two CR-02032’s commonly used in various devices such as remote alarm FOB’s. The Dassault Company of France manufactures the transmitter and Breitling actually forwards the entire timepiece to Dassault for transmitter battery replacement and certifying the transmitter before returning to Breitling to be returned to the owner. Considering the subordinated relationship between Dassault and Breitling, a servicing fee of $600 is reasonable since Dassault has no facility to directly receive or service Emergency’s from owners.